Anybody remember Mugsy Bogues? He was a five-foot three point guard who managed excel for over a decade in the NBA, where he frequently made players a foot and a half taller than him look foolish with his incredible skill and quickness. Why do I bring up the shortest player ever to play pro basketball on the page of the Lowden Wee? Well, the parallels are obvious: both this Wee Lowden and 'ol Mugsy may be small, but they are both capable of humbling their larger brethren with their inspiring play. So much so, in fact, that you could call this Irish-built guitar a regular Mugsy Brogues. 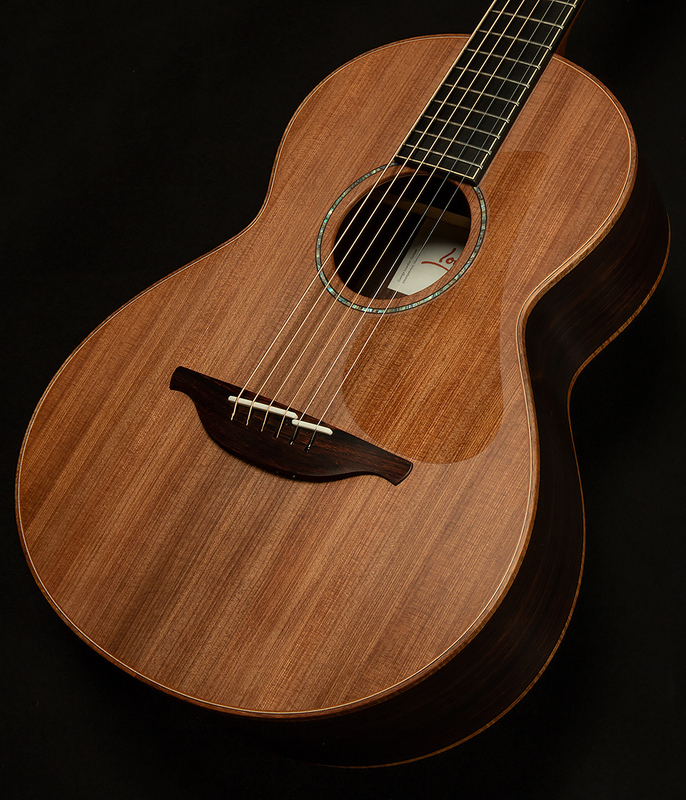 Let's forget that I ever made that that awful pun and shift our focus fully to the myriad delights of the Lowden WL-35. The story of the Wee Lowden begins with a simple gift between friends. Gary Lightbody, lead singer of Irish/Scottish band Snow Patrol, knew that his buddy Ed Sheeran loved small-bodied guitars, and he wanted to do something really nice for his pal. Because he's a really good friend, Lightbody reached out to George Lowden to see if he'd make Ed a custom short-scale guitar with a smaller body. 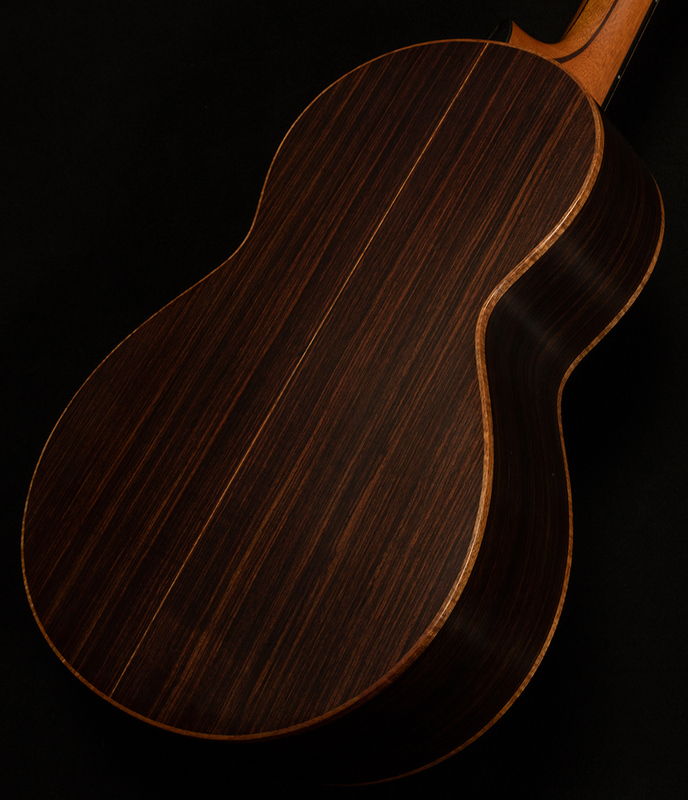 Now, most luthiers would have probably built Ed a guitar and called it a day, but George Lowden is not most luthiers. 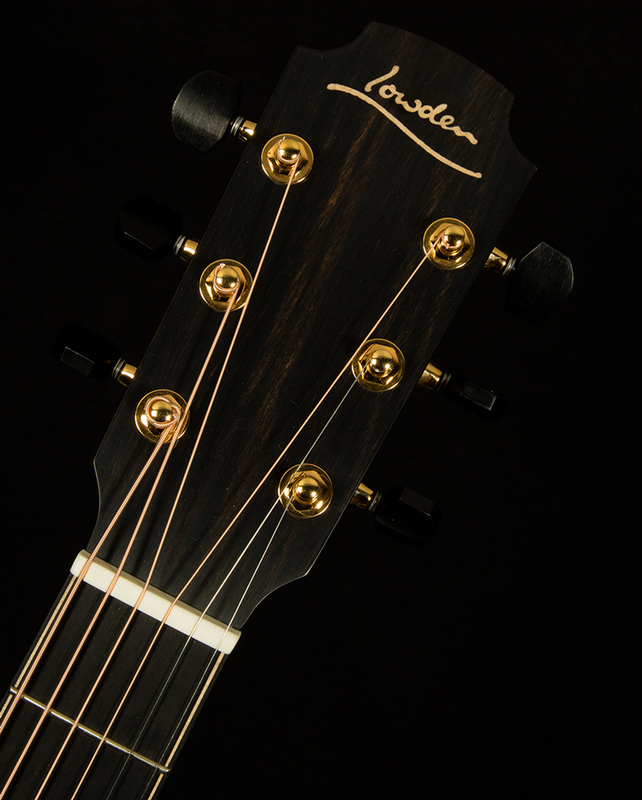 Rather than take the easy way out and slap together a shrunken-down version of an existing model, the illustrious Mr. Lowden locked himself away in solitude on the Irish coast for four days with intentions of designing a brand new Lowden that would be able to stand toe-to-toe with any of his other fabulous acoustics. George's goal was to craft a small guitar with an even, smooth voice that projected like a big guitar without sounding too boxy. He obsessed over ever detail of the design. What tonewoods to use? How should the bracing be voiced? How could the geometry of the soundbox be tweaked? Where to position the bridge? After traveling down the rabbit hole for a long weekend, one thing became abundantly clear: this guitar wouldn't be a one-off. It would become a member of the Lowden family. 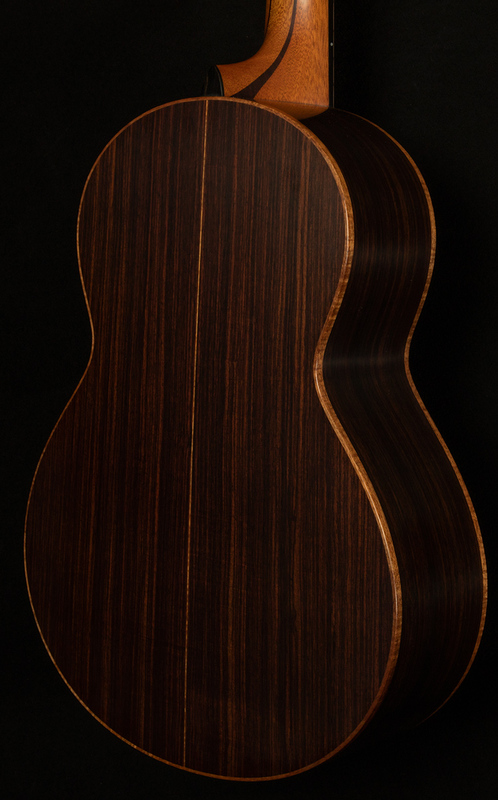 The point is, George Lowden tore his hair out when obsessing over the design of the Wee Lowden. This is not some shrunken-down S-Series guitar. On the contrary, it is an excellent example of the magic imparted by George's Olympic Method of guitar building. You can hear the passion, joy, care, and dedication that went into the Wee Lowden with every strum. So, how does the Olympic method sound when applied on a smaller scale? Well, the inspired combination of tonewoods gives it quite a powerful voice. 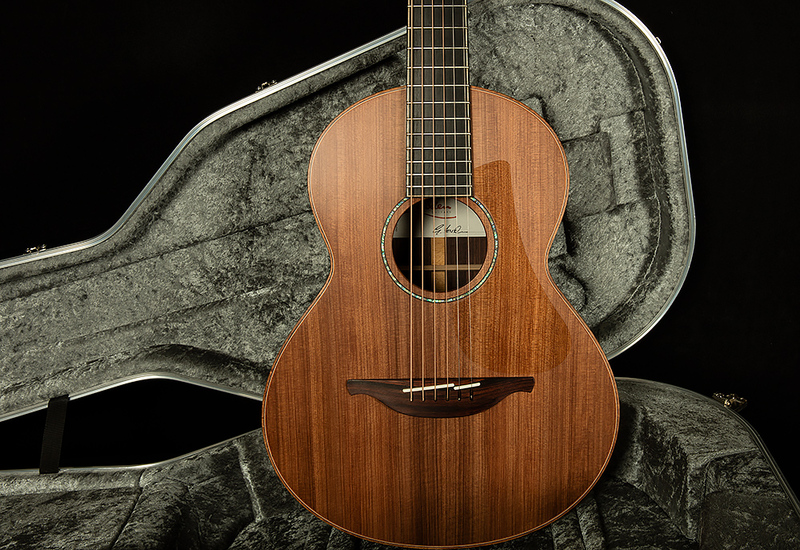 According to George Lowden, he decided on the sinker redwood top because it is quite touch sensitive, but with excellent warmth, sustain, and headroom. 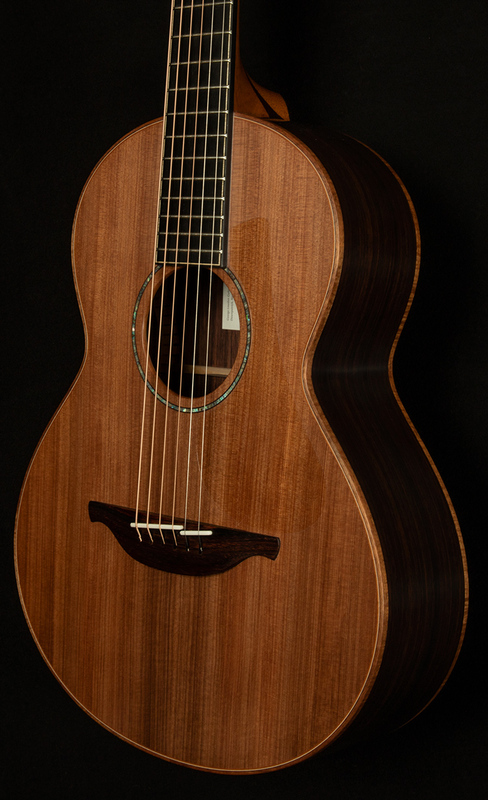 Of course, a softer tonewood like redwood can sound a bit too brash on a smaller body, so George paired the top with Indian rosewood back and sides, which add sparkle to the highs and warmth to the low midrange and bass frequencies. 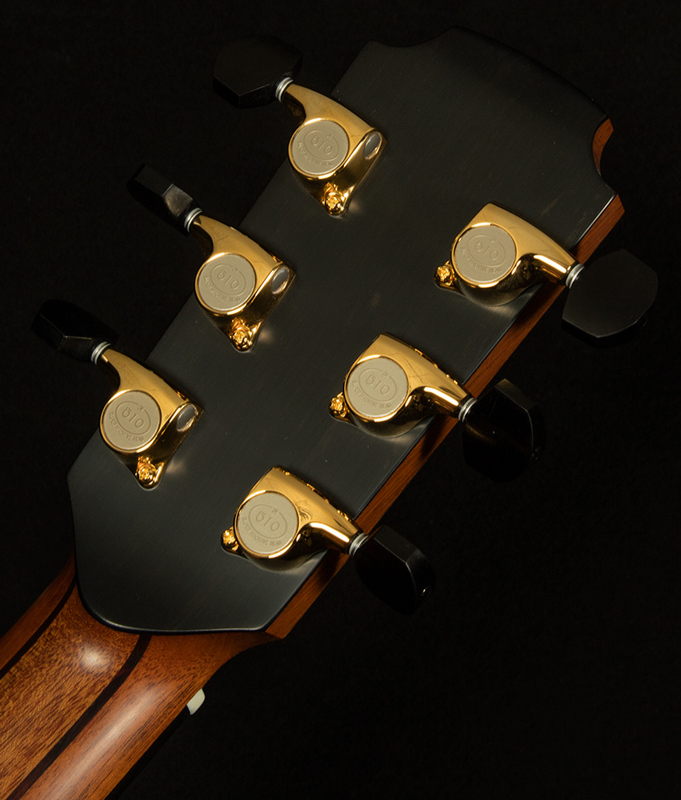 The result is one of the best-balanced, clearest, fullest-sounding small guitars we've ever had in the shop. Case in point: while testing this guitar, I had a bit of an embarrassing moment. I'll let you in on a little secret, Wildwoodians. Sometimes "testing" turns into "jamming" when a particularly inspiring instrument makes its way to me for evaluation. Holed up in one of our demo rooms, I was fully immersed in the Fingerpicking Zone. Let me tell you, when I lose myself in the Fingerpicking Zone, I look silly. I close my eyes and make weird faces while craning my neck all over the place. Of course, my coworker opened the door at the exact moment when I looked my stupidest. "Just, uh, grabbing a cable," he said. Fair warning: the Wee Lowden is so much fun to play that it may cause you to look a little bit dorky, but I sincerely doubt you’ll care because you’ll be enjoying yourself too much. 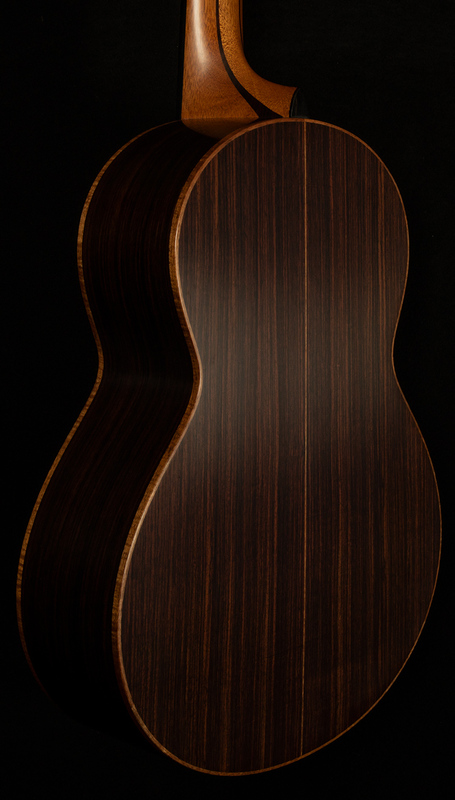 The point is that the WL-35 has plenty of the secret sauce that makes Lowden guitars special. The magic of a Lowden lies in its ability to take you places, to transport you far away from wherever you are and lose yourself in the music you're making. 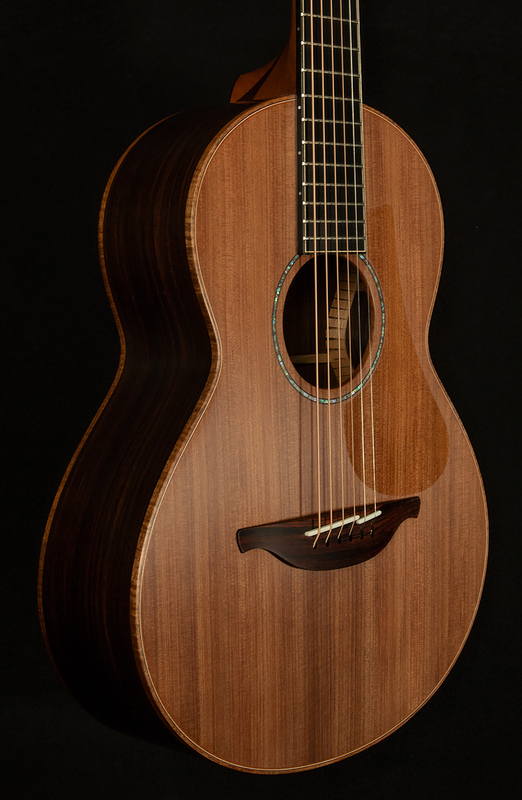 The Wee Lowden may have a smaller body, but it has as much magic hiding in the soundhole as any guitar out there. It compels you to get into the zone and make funny faces and close your eyes and get inspired. 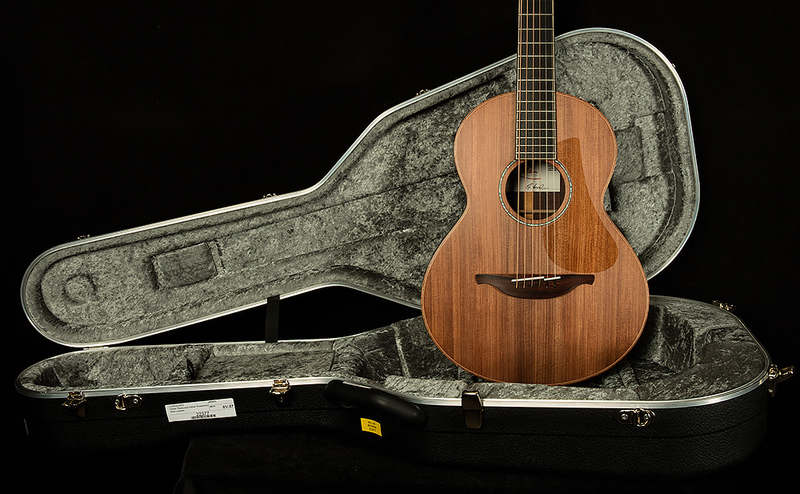 The Wildwood team is proud to showcase such an inspiring instrument for our exceptional customers, and we can't wait to see what amazing places it takes you on your acoustic adventures!